I'm just as excited as when I was a Baby Boomer kid growing up in the 1960s -- the Circus is coming to town and you're invited. Not just any circus, it's the one and only original Ringling Bros. and Barnum & Bailey circus. Yes, this is definitely still The Greatest Show on Earth! Tickets are on sale now for all shows in Southern California July 10 - August 4, 2013. This year's show theme is Built to Amaze featuring more than 100 of the world's best performing artists and athletes -- representing 17 countries around the world -- as well as 95 classic and new animals doing amazing things. Nine-time international award-winning comedic animal presenting duo Alex and Irina Emelin of Russia who will introduce their uniquely-designed brand of magic and humor with animals ranging from poodles and ferrets to rabbits, snakes and a few surprise creatures. The Trampoline Tower Tumblers, a troupe of ten competitive aerial athletes from the Ukraine who launch themselves from trampolines to scale, rapel and pass through a three-story high translucent tower. 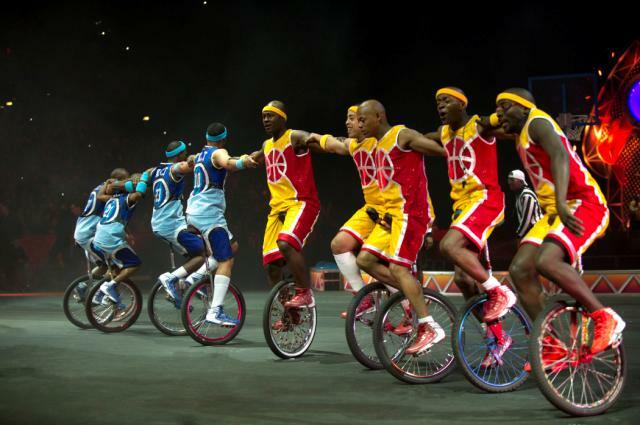 The popular King Charles Troupe from New York City bring choreographed, spirited and comedic one-wheeled excitement and basketball competition to the ring featuring 10 whirling unicyclists shooting hoops. Ticket prices range from $20, $26, $42 (VIP), $70 (Front Row) and $100 (Circus Celebrity). Opening Night tickets are only $12 each (not valid for VIP or premium seating). Tickets available for purchase online at Ticketmaster.com or HondaCenter.com, charge by phone at 800-745-3000 or in-person at the venue Box Office. *Tickets may be subject to service charges, facility and handling fees. FTC Disclosure: This is a compensated post and I will be receiving tickets to take my own family to this circus in exchange for hosting the associated giveaway. 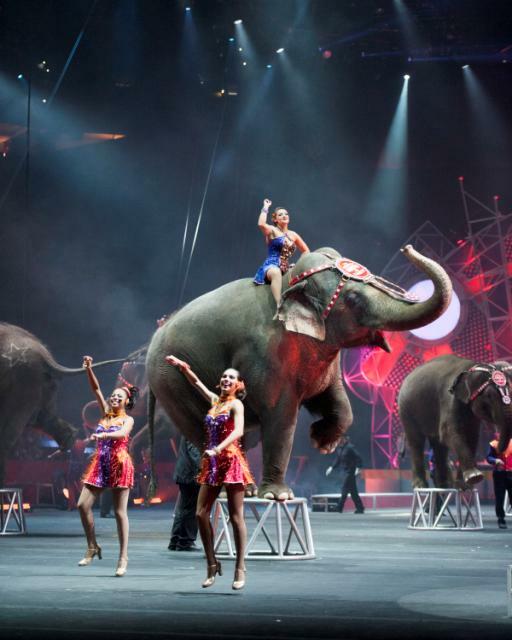 In addition, Ringling Bros. and Barnum & Bailey is providing the prizes for the contest. See complete FTC Disclosure information that appears at the bottom of MommyBlogExpert's main page and at the bottom of every individual post on this blog, including this one.